You are here: Home / Ask an Expert / Ask An Expert: What is the Best Way to Optimize Multimedia Assets? Ask An Expert: What is the Best Way to Optimize Multimedia Assets? Search engine optimization is often entirely too dedicated to text and text-based web strategies – blogs, articles, webpages full of information. But some of our most shareable, relatable content comes in the form of images and video. How often have you searched for an image online and couldn’t find it? Or had a hard time finding an audio file? You can make sure that doesn’t happen to your videos, images and other multimedia assets with some good SEO best practices. Below are guides to help you increase exposure to your images, videos and audio with SEO. With the amount of images most websites contain, image optimization should be a priority for all marketers. When optimizing images for search engines, pay close attention to the following. File names. Name your image in accordance with your keyword focus and stay away from generic names. Alt tags. Add alternative text for images via the alt tag. If there isn’t a field for you to enter it, the HTML string would look something like this: <img src=”http://www.domain.com/image-search-engine-optimization.jpg” alt=”image-search-engine-optimization-important”> Captions & Other Copy. Search engines can’t see images, so content that appears with them offer clues of topic, context and relevance. Videos offer some of the greatest opportunities for viral content. In addition to file naming conventions and alt tags, there are other ways to enhance your video’s reach with video search engine optimization. Title. The title of your video is one of the most obvious targets for optimization. Transcripts. A transcript basically doubles your content by offering a video and a text version of the same content. The text can also appeal to people who don’t prefer video content. Video Meta Data. Video meta data can be optimized such as titles, descriptions and keywords. A keyword optimized description can especially helpful if your transcript didn’t include many relevant keywords. Be sure to include the word “video” in your description. If search engines can’t look at photos or videos, they certainly can’t listen to audio files. Names & Content. Again, previous SEO practices can be applied to audio, such as including keywords in the filename, creating a transcript of the audio file, as well as optimizing meta data and other on-page text. ID3 tags. Audio has a distinctive tagging system known ID3 tags. This allows for the embedding of detailed information into an audio file that can optimized according to keywords and relevance. Include Images. Make the page on which your audio file resides more interesting by including relevant images. These can also be optimized according to the directions above, as the images pertain to the audio. Here, I’ve covered the primary methods for optimizing multimedia assets for improved search engine ranking. As you can see, with few exceptions, many of the same basic techniques and tactics apply, though in some cases, like the transcripts, it can take a bit of time and forethought. Now that you know the basics, start using the information to optimize your multimedia assets. Apply these techniques in mixed media settings for even better results. 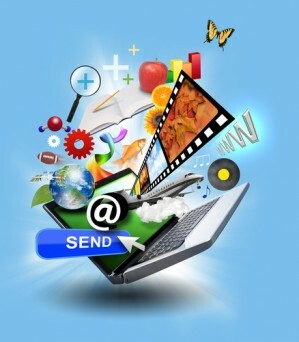 Have you been optimizing your multimedia content? Please share your tips for optimizing multimedia assets in the comments below. Image provided via Shutterstock.